With the increasing popularity of professional digital cinema cameras from Canon, ARRI and Blackmagic Design, the use of CFast 2.0 memory cards has soared, and the need for a truly high-speed card reader is undeniable. With current CFast 2.0 cards’ rated read speeds near 550 MB/s, it’s clear that USB readers don’t fill that need. 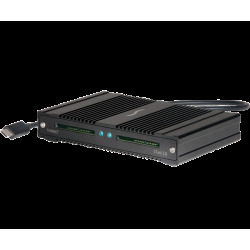 Sonnet’s SF3™ Series - CFast™ 2.0 Pro Card Reader does. 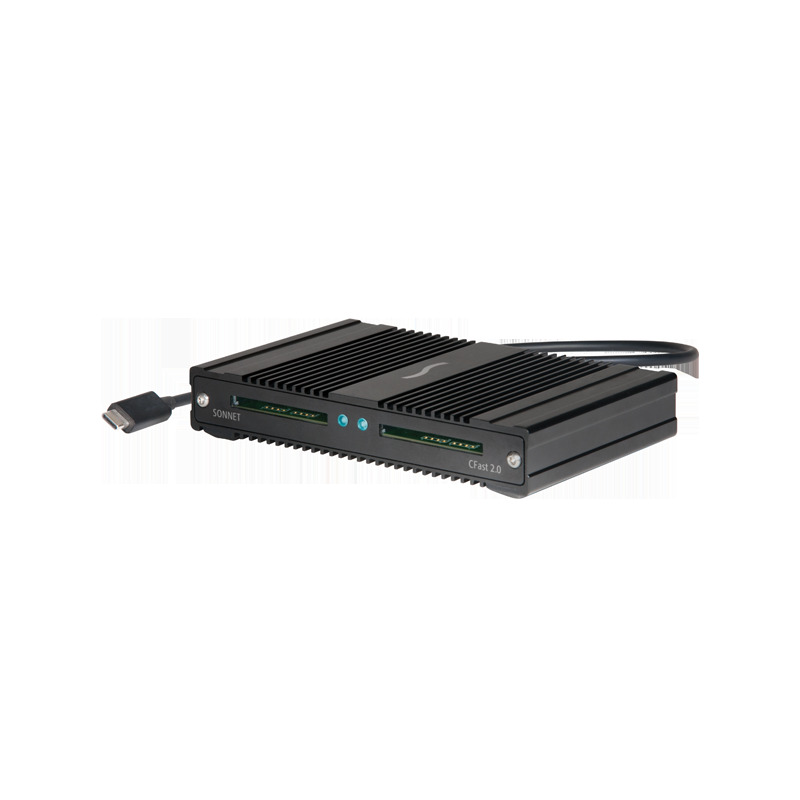 Featuring a 40Gbps Thunderbolt™ 3 interface, this device quickly ingests footage from CFast memory cards to any Mac or Windows computer with Thunderbolt 3 ports—on location, in the studio, or in the edit suite—at the fastest speeds the cards will support..